Could insects be a low-impact, nutritious, and delicious alternative to industrial meat? In terms of sheer biomass, the earth’s insects dwarf the combined weight of all human beings. 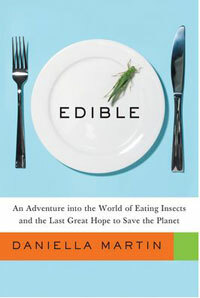 Imagine then, if insects were a source of nutritious food. Well, in many cultures, they are. That might be a lot to swallow. But get past the gag reflex and consider the benefits. While the meat industry depends on antibiotics and fossil fuels, and sometimes deforestation for crops and pasture, edible insects like crickets, mealworms, and waxworms are low-impact and can be farmed indoors.